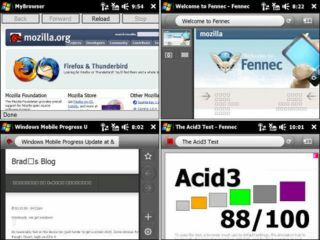 Clearly those chaps over at Mozilla have realised that developing a version of Firefox for Linux and Windows Mobile isn't enough, as it now plans to drop one into Symbian handsets too. "In Q3 2008 Symbian had 49.8% of the total smartphone sales (and 57% in Q2) according to Gartner compared to 11.1% for Windows Mobile and 7.2% for Linux. "So in order for Mozilla to be relevant in the smartphone space we need to have a presence on the Symbian platform." This could mean that the release of the Firefox for Mobile browser, dubbed 'Fennec' could happen on multiple handsets, rather than just a slow, and staggered roll out. "There are a few other platforms: iPhone, RIM and Android that have or are gaining market share where we, for technical or licensing reasons, can't be deployed." But still, those N96 users will hopefully soon be able to get their hands on the Awesome Bar on their handsets... and that's awesome.